Moving is hard enough, without it being such an overwhelming job time-wise that you feel exhausted before you even start packing! The truth is, most of us feel this way about moving. Speaking from personal experience here, I moved from Portland to Seattle a couple years ago, and most of these things I had to figure out the hard way. These are my best tips to save time when you’re packing up your home for a move. 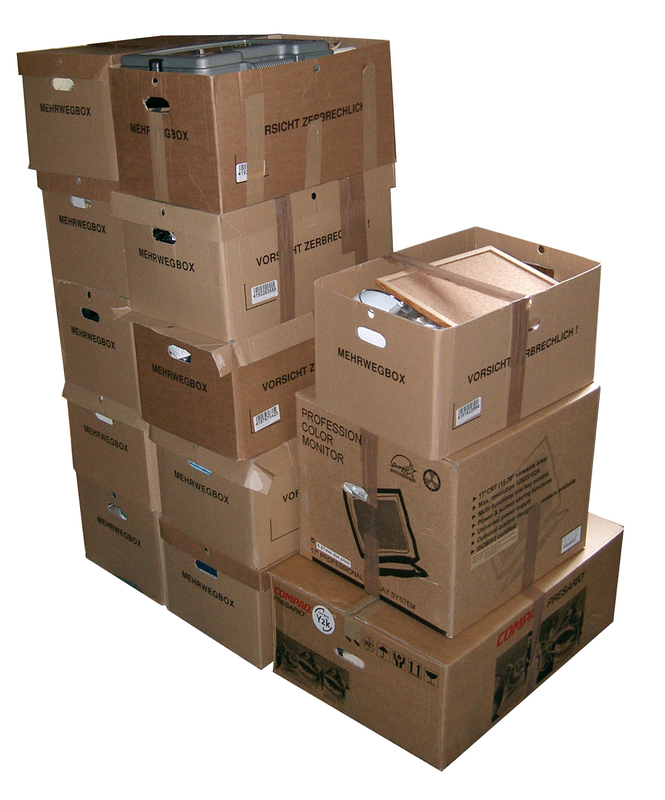 #1 – Before you start packing up the very first room, purchase (or obtain) everything you think you will need to complete your packing job for every room in your home . This way, you won’t have to stop to go purchase boxes and/or packing materials in the middle of your project. This isn’t to say that you must pack up an entire room in one sitting. Doing it in stages is fine — but having all the packing materials you need ahead of time ensures that the time you’ve set aside for packing will be used just for that and not something else. #2 – Take your time to pack. Although there are instances where people just suddenly have to move on the spot, most of the time you will have some warning that you will be moving. No matter what, always try to give yourself enough time to pack up your belongings so that you don’t feel stressed out and overwhelmed — even if that means taking some time off from work to do some of your packing. #3 – Weed out items you no longer use or don’t plan on using in the near future. Even if you know you will use the items again in the future — despite the fact that you’re not using them regularly right now — as long as the items are inexpensive and easily replaced, then consider getting rid of them and repurchasing at a later date once your move is over. This will save you the time and energy of trying to decide what to do with these items until you’ll need them again. #4 – Pack up one room at a time. Start in one room and pack that entire room before moving on to the next one. You may have to leave a few items out to use until your moving day, which is fine as they will be easy to pack up when you are ready — as long as the rest of the room is already packed! You might want to leave enough room in one box for those items, then leave that box open until you add them on moving day. #5 – Identify each box’s contents. Make a list for each box. Then tape that list to the box (or write a list of everything that’s in the box on the box itself). Anyone who has moved knows how annoying it is to get to your new home and not be able to find something you need — simply because the boxes weren’t labeled with specifically what was in them. Another reason to label what is in each box is that sometimes you find you need something you packed before the actual move takes place. And you don’t want to undo all that hard work by having to go through every box one by one. Then, you would have to pack up the boxes all over again, and that can be a major time waster. See… moving doesn’t always have to be a big time-consuming, strenuous task. By applying these tips you can be sure that your preparations leading up to moving day will be done in a timely, organized way that will allow all involved to have a pleasant time — rather than a nightmare experience. Get Organized At The Same Time As You Move? Why Not?